He only forgets Israel's concessions and Arab intransigence. A form of amnesia must be affecting the Obama administration's former chief Mideast negotiator, Martin Indyk. It is, however, a very selective kind of amnesia--he forgets only concessions that Israel has made. Speaking at a conference in Tel Aviv several days ago, Indyk declared that the only reason there are no peace talks between Israel and the Palestinian Arabs is because of Israeli construction in Judea-Samaria. Palestinian Authority chairman Mahmoud Abbas would "become a partner tomorrow for the deal you'd like to make if there was a settlement freeze," he declared. That giant sucking noise was the sound of Indyk's amnesia kicking in. His memory bank appears to no longer include any trace of the fact that on November 25, 2009, at great political risk, Prime Minister Benjamin Netanyahu initiated a ten-month freeze on Israeli construction in the territories. For month after month, Israelis living in those areas were denied the right to add a porch or a nursery to their homes. Peace Now small planes circled overhead checking for sheds and new patios. Did peace result? Did even peace talks result? They are not the problem, because no settlements even existed in June 1967, yet the Arabs went to war against Israel. 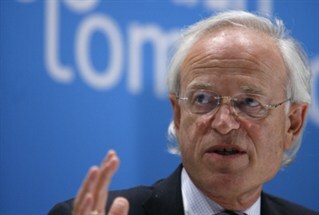 “I can tell you, from personal experience, they [the settlements] are the problem,” Indyk said at the Tel Aviv conference. Obviously, they are not the problem, because Netanyahu froze them for ten months, and it made no difference. Obviously, they are not the problem, because the Israeli government has not built a single new settlement since then-Prime Minister Yitzhak Rabin imposed the no-new-settlements policy, back in 1992. Obviously, they are not the problem, because no settlements even existed in June 1967, yet the Arabs went to war against Israel. And obviously, they are not the problem, because no settlements existed in 1964, when the Palestine Liberation Organization was established, to "liberate Palestine." Why, then, do critics of Israel, such as Indyk, continue to harp on freezing settlements? It's part of a salami strategy--slicing Israel apart, piece by piece. They demand a slice, and when Israel finally gives in, they demand another. And another. And another. They demanded that Israel recognize Yasser Arafat and the PLO. Rabin did it. Then they demanded that Rabin "end the occupation." So he withdrew from the areas in Judea-Samaria where 98% of the Palestinians live. And Prime Minister Ariel Sharon withdrew from 100% of Gaza. But that wasn't enough. So they demanded an Israeli construction freeze. (Notice how they never ask the Palestinian Authority to freeze its own construction in the territories.) They got a freeze lasting ten useless months. Now they demand another one. If they get it, it will only be a matter of time before they demand the dismantling of Israeli towns in Judea-Samaria and mass expulsion of their residents, just as was done in Gaza. And you can bet that even as Martin Indyk and his ilk make such demands, they will act, with straight faces, as if the withdrawal from Gaza had not resulted in rockets, terror and no peace. Because in the end, remembering the past is the obstacle to Israeli concessions--and amnesia is the key to bringing about another Israeli surrender. 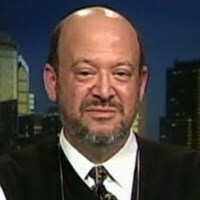 Mr. Korn, chairman of the Philadelphia Religious Zionists, is former executive editor of the Philadelphia Jewish Exponent and the Miami Jewish Tribune.